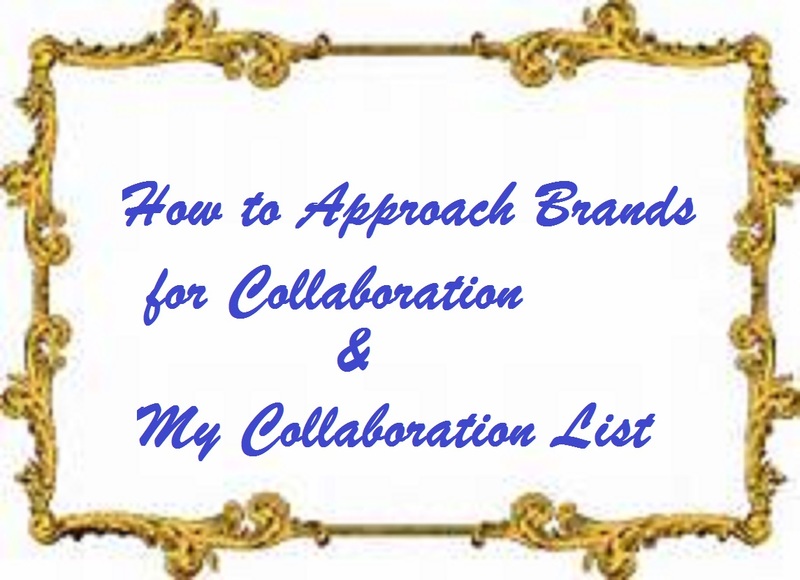 My blog is around 2 years old , when I started blogging I had no idea about Collaborations. I used to review products that I had brought from my own money and some which I had won in Giveaways and I used to participate in various blogging activities & contests to keep my work going on . The First Brand I approached was Sheer Skinz . After 3-4 days I got their Parcel , a Huge Hamper of some 8 products . All the product were too good and I reviewed them all on my blog . That gave me confidence & courage that Yes I can write well and then I started approaching some more brands on facebook and got many more Collaborations . 1. Write your post/ reviews well . Either it’s a Collaboration or review of your own , write your post well so that it creates a good impression on brands , with some good images we can make it more readable . Always try to write honest reviews and give a true feedback , this also creates a good impression among readers & brands . 3. Increase your Social Media Followers . When brands are sending products for reviews to bloggers it’s a Kind of Barter , Products for posts . And brand always look for maximum exposure or promotion of their products and brand name , so more followers you have , better it is for your blogging carrier . 4. Approach brands on their social media handles like facebook , Instagram , this is the easiest way to approach brands , If they are satisfied with your blog & writing skills they would definitely revert back . 5. On Facebook there are many blogger groups where we can find blogging assignments from brands & their PR’s , so join such groups to keep updated about latest collaborations . 6. Keep an eye on other’s blog 🙂 I mean Follow fellow bloggers blog to know what they are doing 🙂 This way we can know with which brands they have collaborated and we can also try there . In case of International Collaborations , the only problem is one has to wait too long to get the products , it might take up to a month’s time to get product from these sites . Many such sites have Blogger programs where in one can get products for posts . Hope you all enjoyed reading this post & found it useful , if you have any suggestion do let me know.